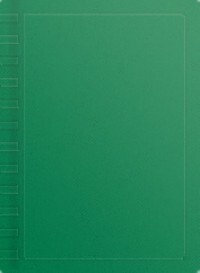 The first thing I noticed, other than the spectacular cover (the gas mask/saw/mustard gas version), was the page count. This is a large book. Epic. I'm sure the translation team tried very hard to get it at exactly 666 pages for the English edition. 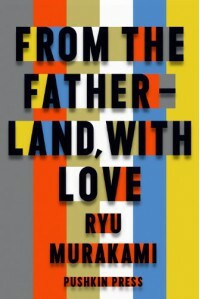 The plot is ostensibly "North Korea invades Japan while the rest of the world stands by and watches," which in itself sounds exciting enough, but Murakami goes far beyond that action-thriller promise, populating this story with viewpoints from all sides of the conflict. The characters he has created are memorable, realistic, and human. That does not mean they are all nice. In fact, the "heroes" of the story take the "anti-hero" character archetype and mix in a good, unhealthy dose of "psychopath" into the mix. But, just like in Dexter, the reader finds themselves rooting for the psychopath from the very beginning. It is a nitty, gritty, often brutal read--what work featuring North Korean invasion could be anything but? At first I was put off by the Stephen King-esque dumps of backstory. Often, bits of backstory are repeated repeated when the point of view switches in another chapter. After a while, however, these dumps of backstory grew on me. I began to look forward to and appreciate the stories it told, and even found some of the repeated information useful--the repeats themselves were in line with the viewpoint's character, anyway--and it helps keep track of which character is which (there were a lot to keep track of). Anyway. I detracted one star for the somewhat excessive backstory. A good exploration of activism, feminism, and taboo from the fringes of Indonesian society. Has some experimental forms that work very well to tell the story (stories) while keeping a central theme of love and activism. It surprised me with its amazing-ness. I went in, drawn by the horse and rider on the cover and that alluring title and the promise of water horses. Water horses (Kelpies, aughisky, etc), are my favourite mythological creature. Forever and always. I've been in love with their myths ever since my neighbour first started telling them to me. He knew I liked horses. I was five. It was great. 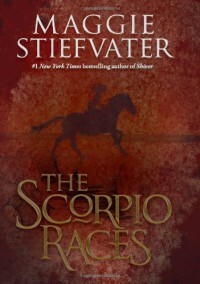 Now, nearly 15 years later, I was very, very pleasantly surprised by Maggie Stiefvater's depiction of them. It is perfect. Not perfect because it keeps to the mythology, word for word, but perfect in that it keeps with the idea: Water horses are fascinating and dangerous; Be careful. People die. This was one of those books that I could not put down. When I couldn't read it, I was distracted by it. I'd find ways of sneaking in a paragraph here and there, entire pages during bathroom breaks. It's that kind of book. I can't wait to read her other ones. I saw this book for free shortly after his death and snatched it up. I am very, very glad I did. I am not a fan of horror, or at least not the horror that I've read from the horror section of the bookstore. I find that I've become rather desensitized to it. 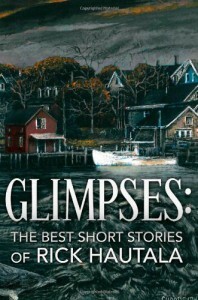 Unfortunately, the majority of the stories in this collection achieved little in the way of frightening me. And yet, I could not put them down. The stories in here are interesting--and I don't mean "interesting" in the way that some people use it as a substitute when they can't think of anything good to say, I really mean interesting. I think my favourites are "Blossoms in the Wind", "Colt .24", and "Ghost Trap". Maybe I'm more of a Dark Fantasy girl. Either way, I very much enjoyed this read. Each story is well crafted, the description is impeccable and full of theme. I will be looking for more from his backlist for sure. I liked this book. Although it focuses on political action, it was not boring. 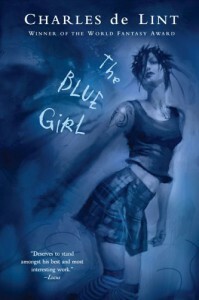 It has a good pace and some excellent subtext in the dialogue. By the world, it is clear that Reeves-McMillan has been thorough. 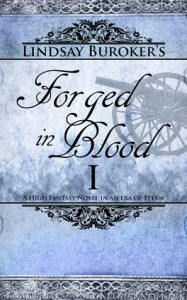 It is set in the age of most steampunk, except that this has a higher focus on fantasy, combining a world with Dwarves, Centaurs, Gnomes, Humans, Beastkind and ancient, Elven magic with the early stages of an industrial revolution. The story focuses on Determined, the Realmgold (head honcho) of Denning, as he hits his head against political roadblocks and minefields. Even though he is ostensibly the leader of the realm, most of his power had been dispersed to the lesser Golds (think Senate and heads-of-provinces/states) by one of his ancestors. Meanwhile, some of those Golds have been plotting a coup through the rise of a hate group which puts Humans as supreme and the rest of the Realm's citizens as inhuman and lower class. Enter Victory, the Realmgold of Koskant, who operates her Realm with a lot more success and a distinctly more liberal ideal. Realmgolds touches on a lot of themes—racism, cults, justice, strategy—but the main theme is Determined's determination (Sorry.) to change his position. Loved it. Par for the course for Mercy Thompson, with some great scenes of magic and some of my favourite characters of hers. 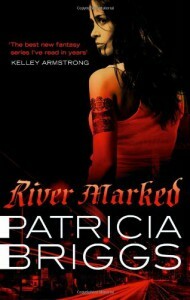 After I finished Heretic and had to get on with my normal, non-Death Eater existence, it kept popping back into my head. The characters just wouldn't leave. I had (and still have) very clear images of each character and the places they were in. The author has filled every character and space with details that aren't boring, outlining the struggles they face as fate (or, arguably, some other otherworldly force, considering we're dealing with Reapers, Death Eaters, and Angels) intrudes on life. As usual, the action scenes are gritty, brutal, and peppered with witty dialogue. Lovin' it. An excellent sequel to Hypocrite. Can't wait for the next-in-series. This was the first book I read by Charles de Lint. Got me hooked. This book made me late for class. It kept up most of the night, too, but a lot of books do that. It takes a good book to make me miss my bus. 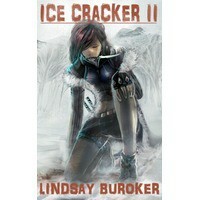 I first read Lindsay Buroker’s writing in her short story, Ice Cracker II (Free! Check it out!). 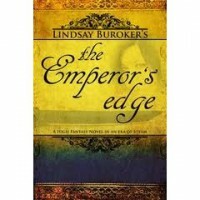 It takes place after the events in The Emperor’s Edge, but does nothing to spoil the story. I was hooked. It was like getting a really good cookie, and then wanting the rest of the package. At only $2.99, The Emporer’s Edge was well within my starving-student budget. I’m one of those writers who believes it is the characters, more than the plot, setting, and action, that drive a story. 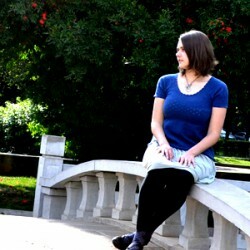 Buroker has developed her characters to the point all authors should strive for: they are real, unique, and develop well through their interactions. They drive the story like they stole it. In addition, Buroker’s description is laced with humour and clever witticisms, and the plot is well-researched and developed. She has paid much attention (but not too much!) to the political motivations within the story. As a major fan of history, I really appreciated the details. 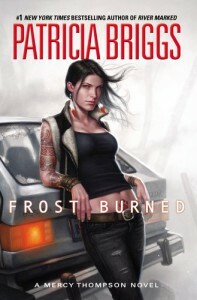 If you've been following, and are into, the Mercy Thompson series, then this is an excellent sequel that dives into Mercy's past. It's the usual fare, and a great light read.